Sue Samuels arrived in New York City as a tall teenager, encouraged by her ballet teachers back home in Florida to join the Rockettes. But she fell in love with jazz, studying with greats like Luigi, Nat Horne, Phil Black and, most significantly, JoJo Smith. "With JoJo," she says, "I learned a lot of musicality, how to contract and release, and how to get the jazz conversation into my body." Since then, Samuels has been a jazz staple on the New York dance scene—teaching, performing and choreographing for 40 years. As a longtime faculty member at Broadway Dance Center, she works hard to keep this beloved American form of dance alive, infusing it with a strong ballet foundation. In the '70s, Samuels helped Smith open JoJo's Dance Factory, one of the first big dance centers in New York (and a precursor to BDC), welcoming teachers like jazz master Frank Hatchett, Kirov-trained Madame Gabriela Darvash and hoofer Judy Ann Bassing. Eventually, Samuels and Smith married and had two children, both of whom went on to have careers in the dance world—Jason Samuels Smith, renowned tapper, and Elka Samuels Smith, co-founder of the artist management company Divine Rhythm Productions. Both know what a special teacher their mother is: "She cares about her students and the experience that's taking place," says Jason. "Her constant engaging of the individual is one of her main strengths." Says Elka, "My mom has dedicated her entire life to the development and success of others, not only as dancers, but as people." Samuels has been a mainstay of BDC's faculty since its opening in 1984. "Sue's style is classic," says Diane King, executive director of BDC, "which contributes to her staying power." Unique to her classes are a jazz barre warm-up and live percussion—Samuels plays a conga drum. Over the years, her students have included stage, film and TV stars, like Brooke Shields and Irene Cara. In 2009, she formed her own company, Jazz Roots Dance. 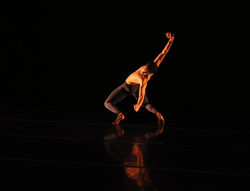 For Samuels, what happens in the studio is what determines what will happen onstage. "The way that dancers train is the way they're going to dance," she says. Despite her legendary status in New York, her approach remains simple and unassuming: "Don't focus on leaving lasting impressions," she says. "Just train people individually in the way that they need it."